I will be seeing Big Hero 6 in the next 3 hours! Oh boy! 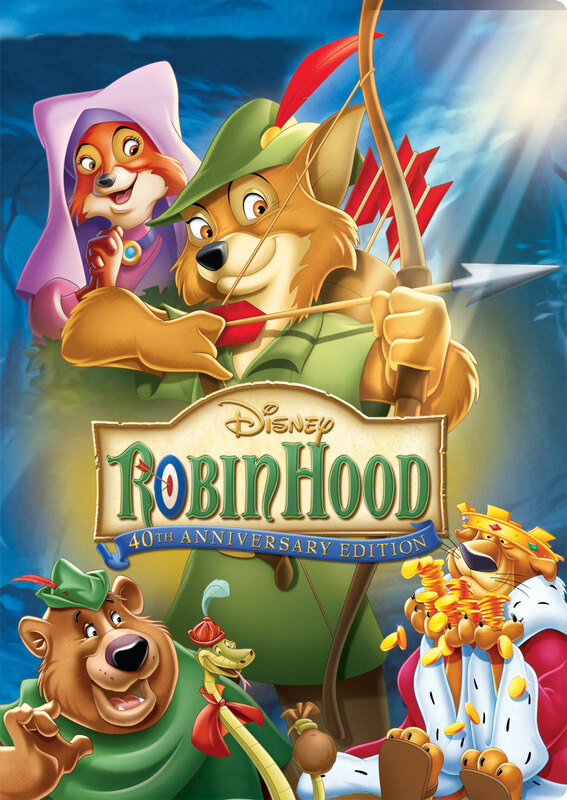 I was talking with a friend about Robin Hood and told her despite its problems it is one of the most rewatchable Disney’s. What I mean by that is some movies are masterpieces but more weighty than the kind of thing I want to watch over and over again . So what are those movies that I don’t mind repeat and frequent rewatching? What’s the one that if I’m feeling like a movie that will entertain but not challenge me what do I pick? I will add that I seem to have a unique high tolerance for repetition. Other people tire of music, movies, food, books and I just don’t. If it is something I like than I like it forever and repeatedly. That said, some films like The Lion King I love but the intensity makes it tough to rewatch again and again. 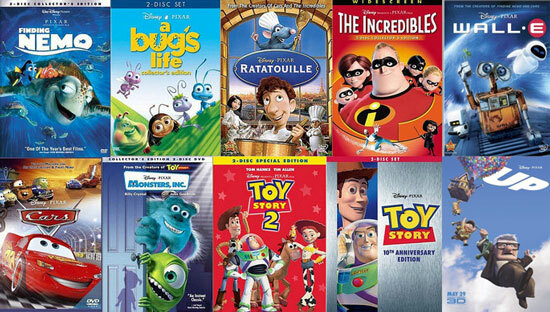 I will also say that all of the Pixar movies with the exception of Brave (yes even Cars 2) are very rewatchable. That’s why I’ve struggled to write up reviews of Pixar ,movies . How many ways can I say masterpiece? 1. Tangled- romantic comedies are probably my favorite genre to rewatch. 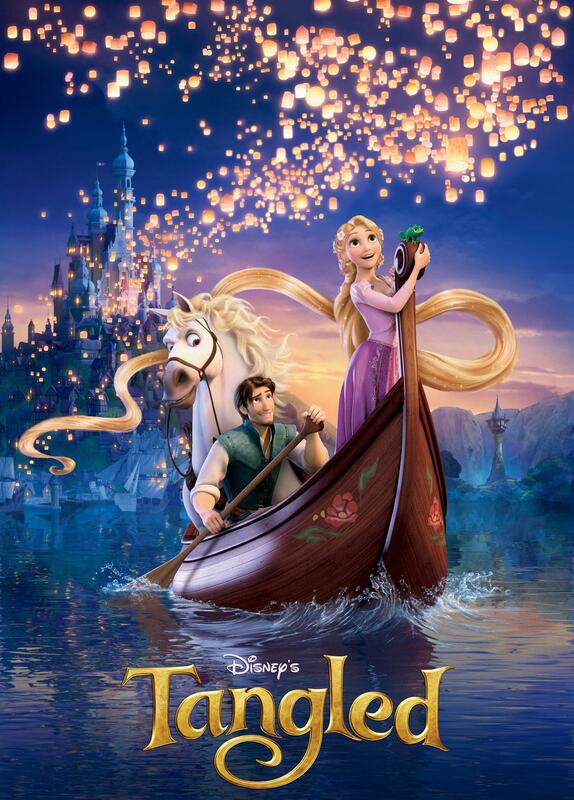 Tangled is funny, light, joyous, beautiful and a terrific villain. 2. Robin Hood- Maybe not the most ambitious Disney film but the humor makes it very rewatchable. I love the voice performances and while it is a bit too long it is so much fun I enjoy rewatching it. 3. 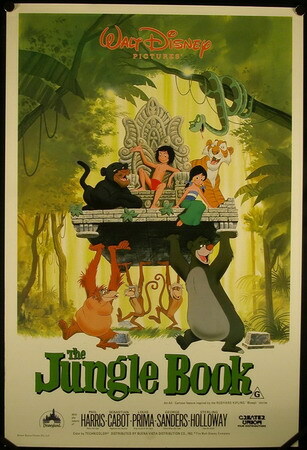 Jungle Book- I hate the ending but other than that it is charming, funny, and the music is the true star. It clips along so well with moments of real heart. It is certainly up there in the movies I’ve seen the most. 4. 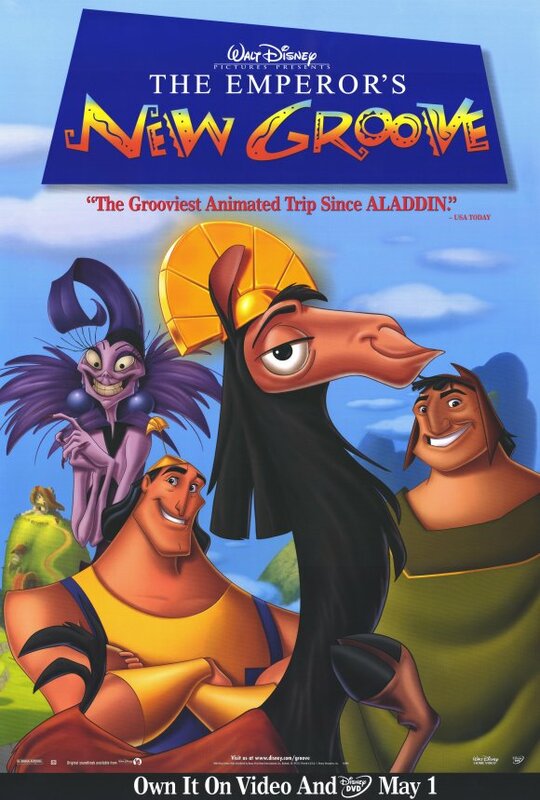 Emperor’s New Groove- Again not the most ambitious but so full of laughs that it is great to rewatch. Comedies are often the best for rewatching as we don’t always feel up to an intense emotional experience. 5. 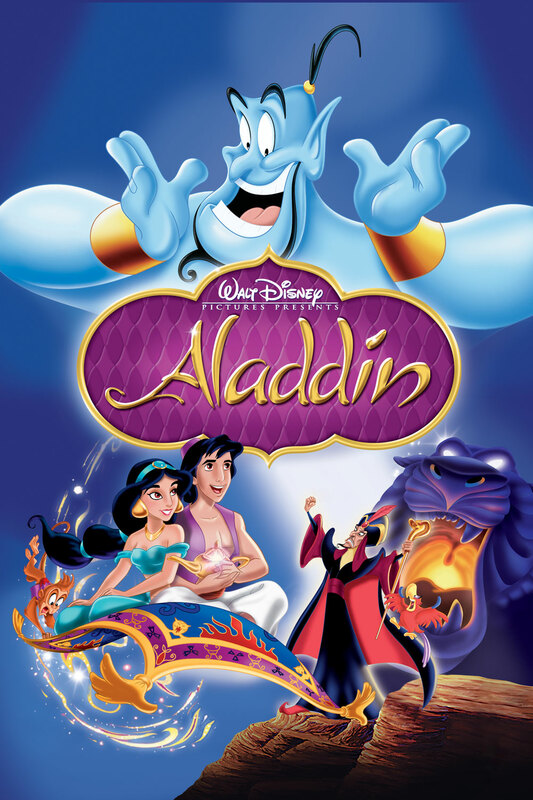 Aladdin- Another comedy makes the list but Aladdin is so much fun with the manic energy of Robin Williams. Every time I see it I spot a new impression or moment I had missed before. It will entertain both boys and girls equally and it is just one I wouldn’t mind watching on most any day. 6. 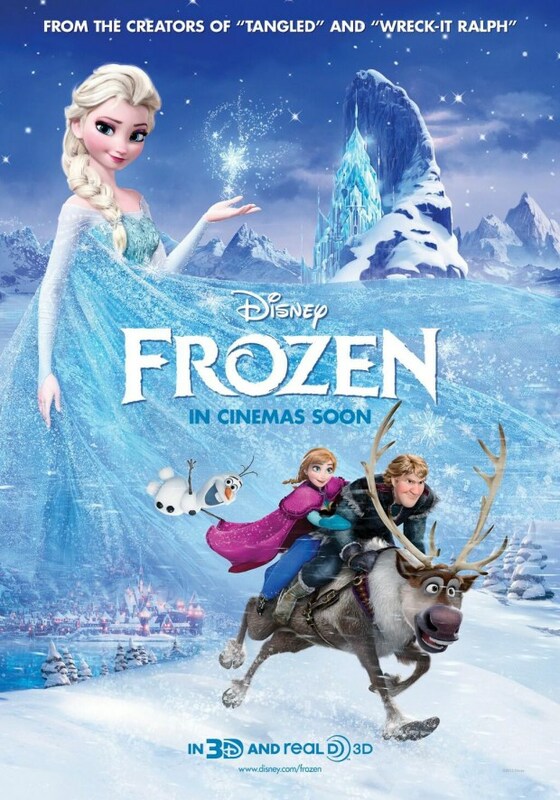 Frozen- I can see many of you roll your eyes because you are sick of this movie. I repeat I don’t get sick of movies. If I like them I like them and I like Frozen. I could listen to the music all day and the humor is great, pacing a lot of fun and I just enjoy watching it most any day. 7. Lady and the Tramp- sweet, simple, romantic and with some tension and laughs. Just something so pleasant I can’t think of a time when I would not enjoy watching it. 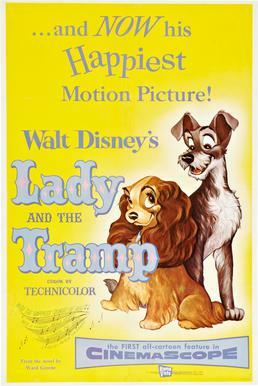 As the poster says the ‘happiest motion picture’ from early Disney. 8. 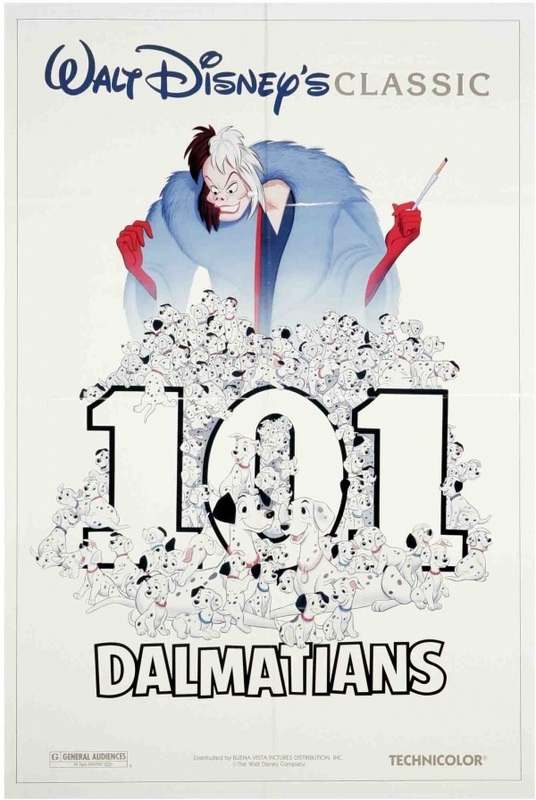 101 Dalmatians- A lot of of humor with Cruella, fun lively story, lots of great characters. Dry with with Horace and Jasper. Always at the top of my rewatch list. 9. 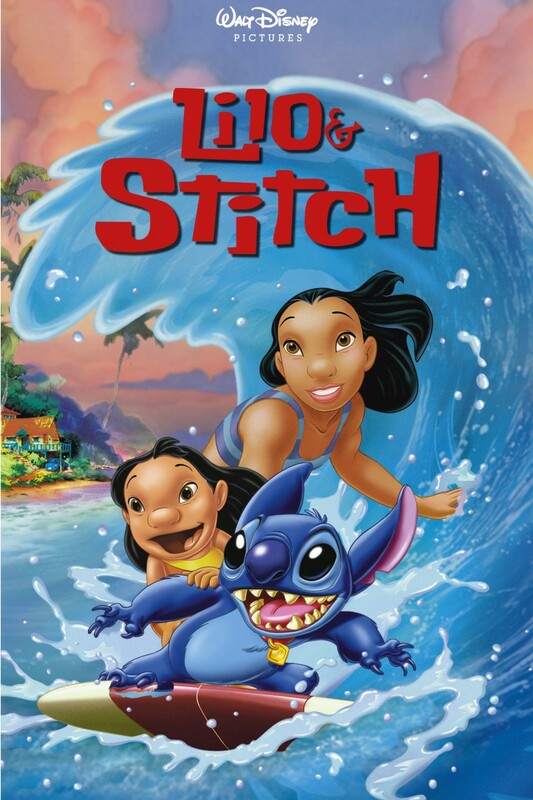 Lilo and Stitch- Probably my most emotional film on this list but it is so lovingly told and Lilo is such a real kid I am drawn to the picture despite my dislike for Stitch. Maybe part of it is I find the Hawaiian local and music so relaxing it’s an easy rewatch for me.. It brings back many happy memories. 10. 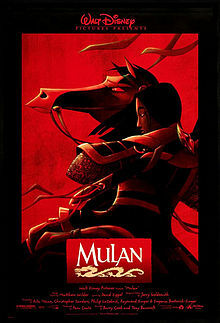 Mulan- Another movie with a lot of humor, romance, heart, and excitement. Just thoroughly entertaining and not too deep or morose like other less rewatchable films. 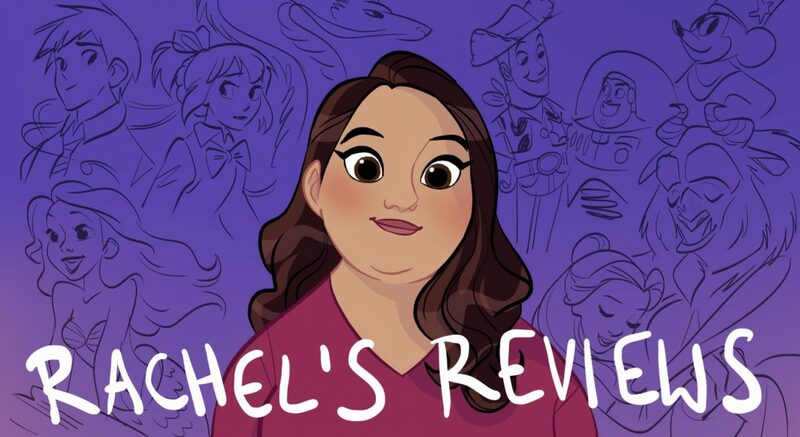 Honorable Mentions- Beauty and the Beast although it feels a little long for a frequent rewatch, Little Mermaid because of my nostalgia for it, and Many Adventures of Winnie the Pooh which is probably the most rewatchable for little one’s. Off to see Big Hero 6!!!! I can tell you that ‘Bambi’ is probably one of the least re-watchable (not counting package films, of course)! It’s easy to say my least rewatchable films are the films I don’t really like such as Chicken Little or Brother Bear but if we are talking about movies I really like that aren’t the most rewatchable Bambi would be on that list, Pinocchio, Lion King, Dumbo, and Fatantasia (all high on my list). But they are all on the somber, sadder side and typically I rewatch comedies more; although I appreciate the dramas and tragedies too. I watched Dumbo all the time when I was younger, I just kind of grew out of it. For me, rewatches come in phases. Odd thing though: Despite really liking most of the Pixar movies, the only ones which I really watched so often that it is notable is The Incredibles, Monsters inc…and Cars. That’s a good point about going in phases. I totally do that. Nemo, Toy Story movies, Ratatouille, Up, all of the Pixars I could rewatch but I can see how that wouldn’t be case for everyone. I tend to rewatch comedies the most. Dumbo I didnt really appreciate till I was older because I dismissed it since it is sad. It’s not like I wouldn’t rewatch them. But I never went through a phase with them for some reason. Everytime I think “I should watch a Pixar movie again” I end up with The Incredibles. Pst….the movie won’t be shown in Germany before January (and yes, it irks me….I was hoping for Christmas). I’d have put Frozen at # 1 and included Lion King and Tarzan in my top 10. Then again, this is your list, not mine. Really good list though. wow lol! my #1 is Tangled as well. Tangled is the best! I also have a soft spot for princesses! And I agree on the Pixar. I liked Monsters University particularly for the message but I agree it did drag in spots and I don’t know how rewatchable it would be. Thanks for commenting!